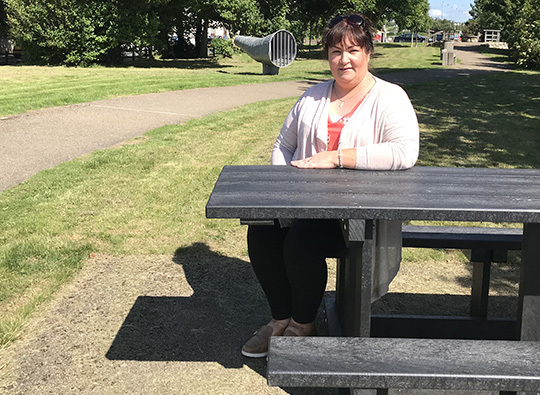 Sinn Féin Cllr Róisín Howell has welcomed the installation of a new disabled access bench in Dundrum picnic area. “It is important that anyone with a disability is able to use all our council facilities, whether it be something as small as a park bench or leisure centre facilities. Cllr Roisin Howell welcomes a disability bench in Dundrum.